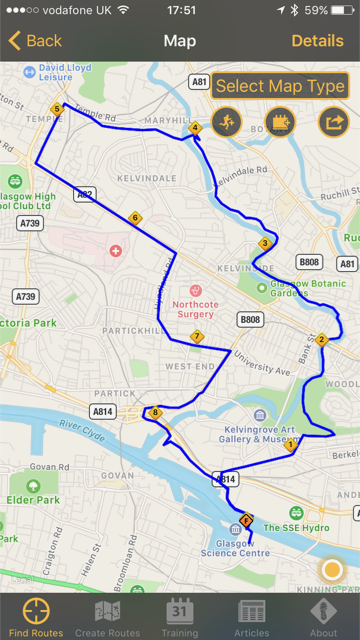 Here’s the 15-16 mile route we’re doing tomorrow, with a bit of a tweak as we’re starting from a slightly different place. The weather looks ok, 14-15’C and cloudy / sunny, I’ll get everything ready tonight ahead of it – water pack, shorts, vest, Garmin etc. I’m running with Twinnie for her marathon training and I’m really looking forward to it. 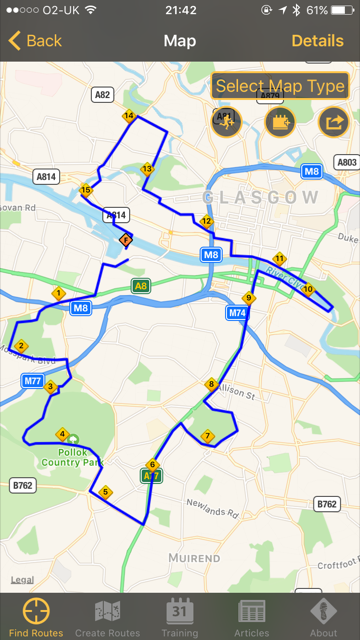 And here’s the 9 mile route for coaching on Sunday. And I’ve realised I’m going to run more than 100 miles in July – oops. And I thought I was good at maths! Lots of running has simply led to too many miles, but I might try to go for 120 – 125 miles and bank then so I can do less in September (when I’m on holiday off work). (With plenty rest and strength sessions between my run days).